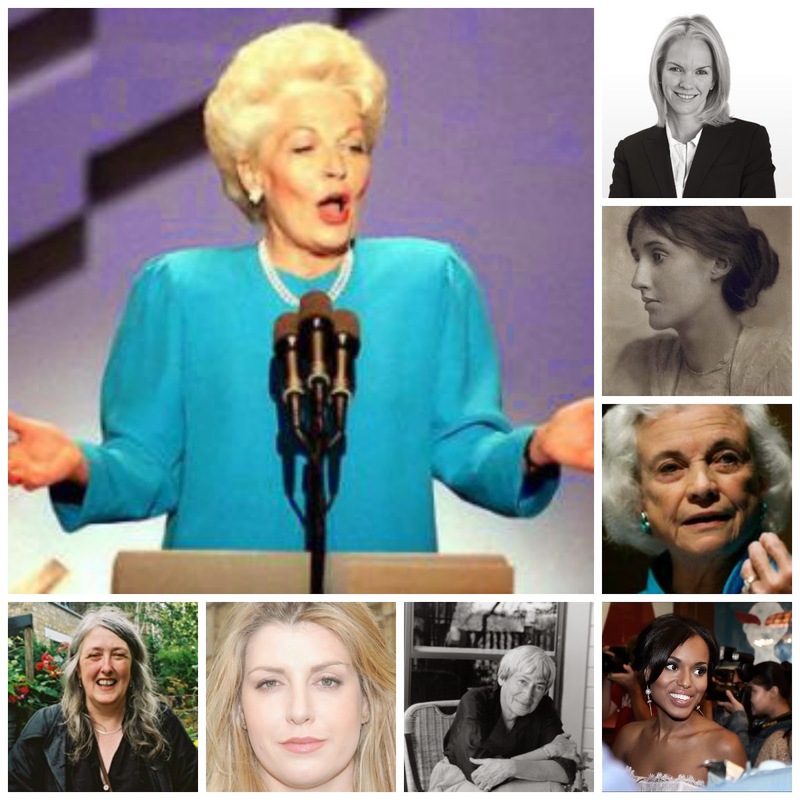 You won't mind if we get a little meta this week on Famous Speech Friday, and round up the speeches from The Eloquent Woman Index in which women talk about women and public speaking, will you? It turns out that many famous speeches by women involve those speakers talking pointedly about the absence of women speakers other than themselves, or women's reluctance to speak publicly, themselves included. After all, they've got the mic. They may as well use it. "Two women in 160 years is about par for the course." Ann Richards's 1998 keynote at the Democratic National Convention used a sly dig to note that she was only the second woman to do the honors. It was just the first of a series of great uses of humor in this speech. "If you had actually invited any other woman over the last 17 years..." Elisabeth Murdoch gave the coveted MacTaggart Lecture to the UK television industry, but not before she gave the audience a list of the talented women broadcasters they might have invited. "Asking whether women attorneys speak with a 'different voice' than men do is a question that is both dangerous and unanswerable." U.S. Supreme Court Justice Sandra Day O'Connor, speaking at a law school's anniversary, took a deep look at the progress of women in law, a profession where there's lots of public speaking going on. "This might be a Queen’s Speech, but I am only the second woman to propose the Loyal Address in Her Majesty’s long reign." Penny Mordaunt, Member of Parliament in England, followed the first woman MP to respond to the Queen's speech 57 years later, and more than held her own in setting the stage for the parliamentary year. "When women speak truly they speak subversively--they can't help it: if you're underneath, if you're kept down, you break out, you subvert." Novelist Ursula LeGuin gave a commencement address in the 1980s that urged women to speak up, saying, "We are volcanoes." It's my favorite metaphor for women speakers. "When listeners hear a female voice, they don’t hear a voice that connotes authority; or rather they have not learned how to hear authority in it..." Mary Beard, a classics scholar, can trace the first recorded instance of a man telling a woman to shut up all the way back to The Odyssey. Her lecture on the public voice of women is a masterpiece. "I soon saw that it had one fatal drawback. I should never be able to come to a conclusion. I should never be able to fulfil what is, I understand, the first duty of a lecturer..." Virginia Woolf gave two lectures at the University of Cambridge, later weaving them into A Room of One's Own, a manifesto for women finding their voices in writing and speaking. "We need to be willing to be uncomfortable, to be flawed, to be imperfect, to own our voice, to step into our light." Actress Kerry Washington admitted in an acceptance speech that she'd turned down a TED talk opportunity, and learned she wasn't the first woman to do so--so she decided to talk about that publicly. As with all our posts in The Eloquent Woman Index, you'll find (where available) video or audio and text or a transcript of each speech at the links, along with what you can learn for your own public speaking. Please share this important public speaking resource!